Wow, I can’t believe it’s already been seven weeks since we’ve started #3ThingsThurs. It’s been a lot of fun writing about my favourite things from the week and I’ve especially loved meeting the new bloggers who have linked up! So without further adieu, here are my 3 Things Thursday this week. 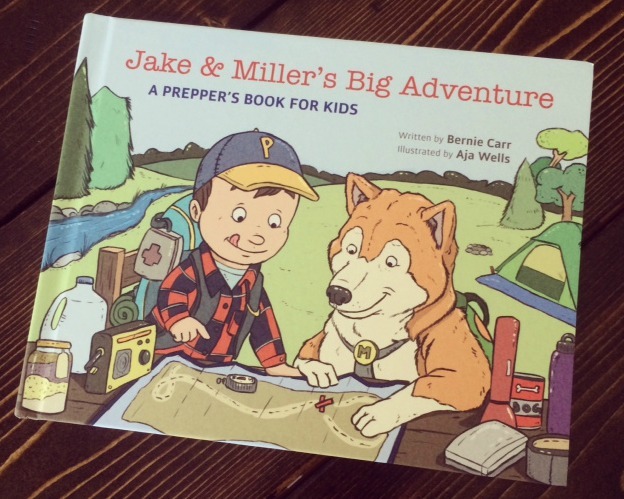 Keyan was really excited when we went to check the mail the other day because he got a new book called ‘Jake & Miller’s Big Adventure,’ written by Bernie Carr. The book is about a young boy and his dog who are out on an adventure and ready for anything that comes along. The book teaches about emergency and disaster preparedness and it’s never too early to start! We had fun reading it together and talking about all the situations that came up. I had an epiphany while I was in San Diego. Okay, well maybe it wasn’t so dramatic, but I did come to the realization that we don’t go to the beach enough. We have beautiful beaches all around yet we don’t take advantage. So this summer, I’m going to make a bucket list of all things I want to do with the kids this summer including lots of trip to local beaches. 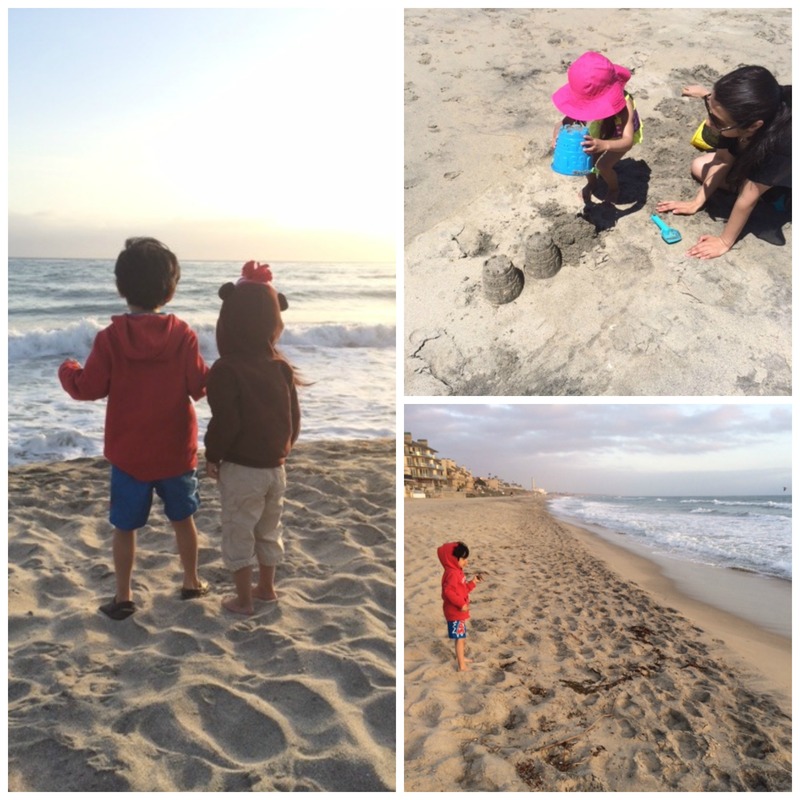 There’s so much to do: make sandcastles, swim, walk in the sand, skip rocks, have a picnic. Can’t wait for the warm weather! I was inspired by a post on Bees With Honey about embracing yoga in our lives. It’s something I’ve wanted to do for a long time, but haven’t. But no more excuses. I have brought my husband on board, we have two yoga mats and we are committing to doing yoga at least three nights a week after the kids have gone to bed. There is no excuse of time or travelling. This week I’m planning on checking out youtube.com and going to the library and borrow a bunch of yoga DVD’s to find the one’s that really work for us before we buy some. 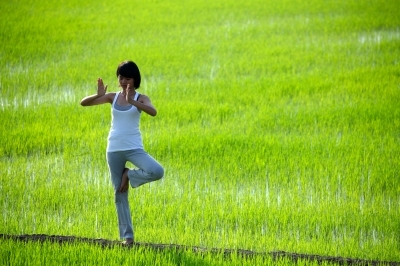 Do you have any yoga video recommendations that are good for the mind, body and soul? Those are my 3 Things this week. Take a couple of minutes and visit my lovely co-hosts, Nisha at Love Laugh Mirch and Raj at Pink Chai Living. As always, we would love to have you link up with us, so write up your three favourite things this week, grab the #3ThingsThurs badge and click on the linky below. It’s a great way to share what’s on your mind and meet some new friends. That’s great Cherie, I hope you do join in! Let me know if you find any good DVD’s. We’ve tried one by Gaiam’s and it was pretty good. Glad to hear that something I’m doing inspired you to try it out. I love yoga. Great you got your hubby into doing it too and thanks for shout out! I plan on linking up with you for #ThreeThingsThursday in the future. I always have 3 things to share, lol. I’ve done yoga a bunch of times over the years, but not regularly even though I know there are so many benefits. Your post gave me that push to make a commitment. Thanks! And can’t wait to read your three things! 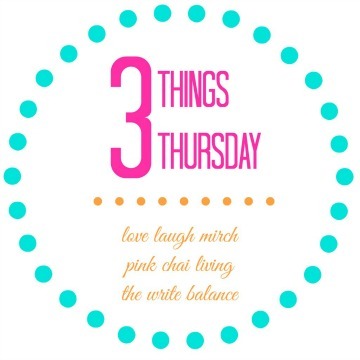 I love the 3 Things Thursday idea! It makes you think about what made you happy that week – a great gratitude kind of post! I hope to go to the beach more with my family this summer as well. Today I have my monthly Garden Bloggers Bloom Day meme, but I like the idea of three things Thursday. If I remember – maybe soon? I agree about needing to take advantage of whatever your locality offers more often – I think we all tend to forget what is everyday around us and not take advantage of it. Thanks Alana and yes, you should definitely join in on the 3 Things Thursday, it’s a great way to talk about things from our week that you want to mention but don’t think warrants a whole post. Hope to see you link up soon! What a great way to ensure that you think back and really appreciate the specials things that can happen during a course of a week. You can totally borrow this idea Victoria! Hope to read a #3ThingsThurs post in the near future. Hi Salma! This is my first visit to your blog! I love the idea of the 3 things Thursday. It’s inspirational and uplifting to look forward to new things every week! Nice post! Welcome Julie! I’m glad you liked the post. Love this idea! I’m sure you’ll find plenty of youtube videos – there are also plenty of sites that give yoga lessons – one paid one is myyogaonline (think that is it!) that has a wide choice of yoga lessons. Love yoga and hope you enjoy it too! I love yoga, it’s a great way to stay fit and grounded. However I do it by myself, I don’t ever see my hubby doing it with me. New to your blog, love it. I’ll be joining in next week hopefully! I totally agree about going to the beach more. We have amazing beaches here. It’s amazing how we don’t really take advantage of the place we live, until we go away on vacation. I love yoga and I need to get back into it. It’s so good for you holistically.